Some images need to be big to look right, only a large-format print will cut it. However, when prints are being enlarged, all defects and all pixels become strikingly obvious. That’s why poster prints from own photographs can fail with the smallest mistake. The large formats are a real challenge for every photographer and photo lab. We have tested two of the leading online photo-poster services. Many poster printers offer their services on the Internet; finding the right printer or photolab for your print-project shouldn’t be left to chance. The poster print offerings we reviewed are backed up by the photofinishing giants MyPhotobook and CEWE Color, who together dominate half the European photo print market. In parts they use different technologies and can be recommended for different types of projects. We have tested the quality of the poster shops from Printing-1 (MyPhotobook) and FotoInsight (CEWE) in twelve categories. With the photo-chemical exposure on photographic paper as used by FotoInsight for their standard sizes, there is no print screen and therefore no unpleasant print dots, not even under a magnifying glass. The maximum possible reproduction quality on photo paper is determined by the optical imaging process as well as by the chemical and physical paper properties (e.g. particle size, surface texture). With the naked eye, the untrained can hardly distinguish enlargements printed using modern Indigo processes at 300 dpi and coated with high-gloss varnish, as offered by Printing-1, from the finer photographic paper prints as produced in photo labs like FotoInsight. But under a magnifying glass anyone can spot the print grid composed of print dots in a limited number of colours. For this test the print resolution of all those posters which were produced on Indigo machines was 300 dpi. In all tested sizes the print resolution on photographic paper was perceived as better by the naked eye and under the magnifying glass. However, text was easier to read on the smoother surface of the printed posters from Printing-1. Printing-1 offers excellent colour rendition, perfect for pictures post-edited for example in Photoshop; featuring already optimised colours. However, unedited snapshots may appear with a somewhat cool shade. On the other hand, when ordering prints through FotoInsight with their automatic image correction, skin tones will appear much warmer. In our test, this meant that the image of a family tree on a beige background came with an orange tint. But as the portrait images are better with Fotoinsight, we also found that the test’s landscape poster with a snow-capped Mont Blanc from Lac Blanc were much better. The overall impression varies with the type of image and print process used. The family tree with lines and texts is better from Printing-1. But FotoInsight did a better job of both the portrait picture as well as the shot of Mont Blanc. In order to get prints from Printing-1, their print order software has to be downloaded and installed first. Even though the order client itself is commendable, especially when creating a photo book or calendar, requiring the installation of software for the purchase of a single poster print seems unreasonable. But even after installing the software, selecting and uploading the images, Printing-1 customers still have to go to their Internet browser, call up http://printing-1.co.uk/, log-in, and select the project to be able to carry out the online order – it could hardly be more complicated. The advantage of Printing-1’s approach is though, that friends and family can be invited by e-mail to access printing projects (prints, photo books, calendars, photo canvas, posters etc) and projects can easily be re-ordered without having to upload the project again. 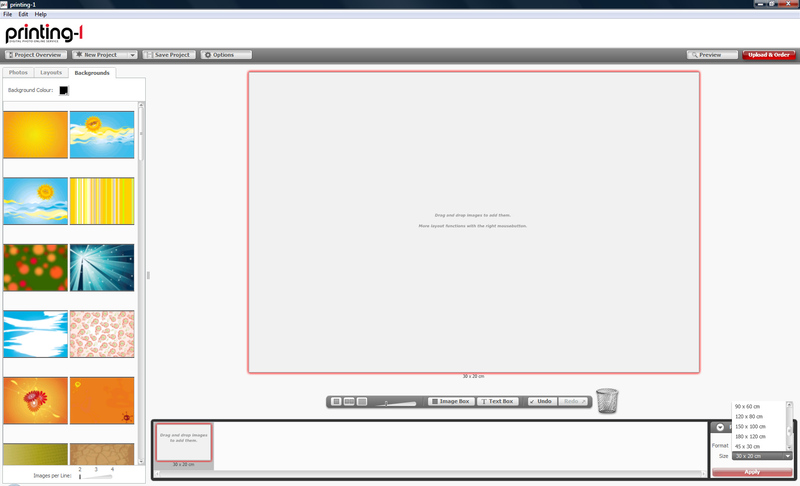 With its intuitive navigation FotoInsight shows how a website should be done. The shopping basket feature allows combination of orders of different print products – even though different product categories can be ordered together, FotoInsight ships and delivers each product category separately, applying individual delivery charges on each shipment. When buying from the online shop directly through the Internet browser, FotoInsight will always apply their automatic image correction, designed to optimise holiday snaps. However, anyone wishing to apply their own or no corrections should use the free FotoInsight Designer software, which allows to turn the image correction off, to avoid that the algorithms interfere with optimised images. The free Printing-1 ordering software client allows sending print projects via mail on disk or other storage media apart from buying prints over the Internet. To order different images or products online, each must be uploaded individually as a separate project. To order individual projects, a further step is necessary to log into the user account through a web browser with Internet connection. The software is intuitive and helps to create even complex print products like photo books and calendars, too. FotoInsight offers a large range of formats and products through their website and through their print-order and design software. The whole process can be praised for appearing intuitive and logical. Printing-1 offers poster print on 195 g/m² paper in 83 different formats, plus alu-dibond mounted prints. FotoInsight offers enlargements on photo paper in four sizes and XXL poster print on silk mat paper (210 g/m²) in 24 differentes formats. FotoInsight also offers alu-dibond, foam and gallery print, and a framing service in collaboration with Nielsen-Bainbridge. Collage posters are great for documentation as well as decoration and are a popular gift. Anyone who has installed the print order software from one of the two parties tested, can create a collage of images and texts. FotoInsight also offers collage prints in their online shop without any requirements for additional software. Both providers offer secure (ssl encoded) payment. Printing-1 offers payment by credit and debit card (VISA, MC, Maestro, AMEX), Paypal and pre-payment (bank transfer). FotoInsight offers payment by credit or debit card (VISA, MC, Maestro, AMEX) or PayPal. Printing-1 delivered all the three different poster formats ‘on test’ together in one delivery after exactly seven days. Two of the three formats ordered from FotoInsight reached us in separate packaging as individual deliveries within 48 hours. An XL panorama poster took 2 days longer. FotoInsight was the clear winner of this test. Printing-1 delivered the different formats together, rolled up in a corrugated cardboard, which itself was stored in a cardboard box. The packaging made a good and solid impression. FotoInsight delivered the A4 size print in an envelope, this poster on photo paper was first wrapped in paper and protected by cardboard. 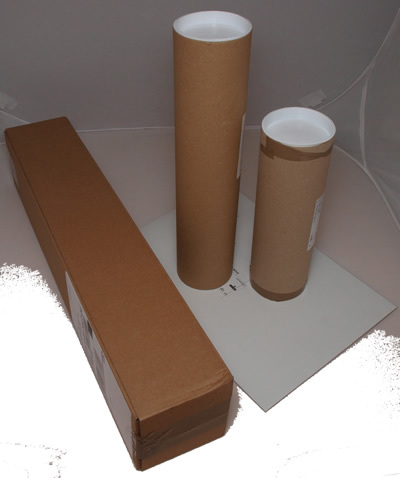 The larger posters were also wrapped in paper and then packed in a sturdy poster tube. Printers who put so much effort into the packaging deserve to be trusted with our prints. Printing-1 offers support by email only. They were helpful with speedily answering our questions during office hours. FotoInsight offers both free email support, as well as by phone (Tel +44 (0) 1926 463117). When testing the email support we received helpful answers without delay. FotoInsight was 35% cheaper, despite delivering in three separate shipments. Printing-1 offers good quality and interesting formats, such as the panoramic posters, which can be up to a very large 600×150 cm big and come on good, strong paper. But the well established photo specialist FotoInsight offers a greater choice of materials, an intuitive ordering process, faster delivery and for most applications the better poster prints at lower costs.